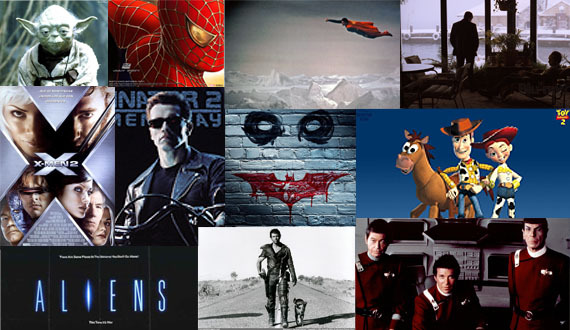 Here is our Top 3 and worst 3 movie sequels of all time. There were even some incidents where someone’s Top 3 list was on somebody else’s worst list, so things get a bit hairy here. We literally cover every genre from horror to comedy with this episode. I know we left out some key sequels, so please let us know what your favorites are, and of course your least favorites. Enjoy the show. This entry was posted on Wednesday, November 20th, 2013 at 6:30 pm	and is filed under Film, News, Podcast. You can follow any responses to this entry through the RSS 2.0 feed. You can skip to the end and leave a response. Pinging is currently not allowed. « ‘The Walking Dead’ and ‘Breaking Bad’ Are Getting Soundtrack Releases on Vinyl! !